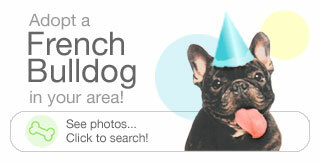 The French Bulldog or “Frenchie” has for a long time been a favorite companion dog for many families across the world. The popularity brought about by their friendliness, good temperament and easy adaptability, have made it one of the most desired breeds, evident among the growing number of celebrities and ordinary dog owners having them. Easy adaptability means that they can survive almost anywhere, be it in an apartment without a yard or a farmhouse in the countryside. They do not need a lot of room and can be active indoors. French Bulldogs love to relax on the sofa as much as they like to play outdoors. They are playful especially with chase balls, making them an excellent choice for a pet to children, as children are also at ease around them. The sturdy and compact dogs get along well with strangers and other pets as well. They are reserved and quiet most of the time, but may occasionally bark to announce the presence of a visitor. Many people regard them to be beautiful with big cute eyes, charming and amiable. They love clowning around and being mischievous, which makes them sweet and hilarious. Originally from Nottingham England, the Bulldog was carried to France when breeding resulted in the miniature French moniker. The diminutive Bulldog was a typical family pet in the 19th century England. Lace-making was a prevalent local industry then. When the lace makers moved to France in search of better working conditions and pay during the Industrial Revolution, they carried with them the little Bulldogs. They were then crossed with the local French breeds to give rise to the curious and comical French Bulldog. The new French Bulldogs found their way back to England for dog shows and despite the Brits not being happy with the name, it stuck. They were unhappy with the new name as the breed was originally from England. The breed thrived in France and Europe but soon became popular in America. • Weight: 17- 28 lbs (8-12.5 kg). • Height: 11”-1ft (28-31 cm) tall at the shoulder. • Loose skin with wrinkles around the head and shoulders. • Straight and corkscrew tail. • Deep and distinct stop. • Wide chest with powerful muscular physique. • Bat ears that are broad at the base and rounded at the tips. • Large square head with a rounded forehead. • Large, round and projecting eyes. • Short and smooth coat. They are quiet and well-mannered dogs with a unique appeal and easygoing personality. Their quiet nature makes them excellent companions for a not-so-active family as they don’t have high energy needs. Their short-nosed nature means that they are likely to snort or often snore than other breeds. Some may slobber and drool. It is not their fault, and you should not punish them for these unwanted traits. Instead, focus on training them to be better mannered. Give emphasis to the good and correct the bad. A good dog owner is one who is patient with the clowning around and features that may be both irritating and amusing. One pro of owning a French Bulldog is that are easy to clean and groom. They do not require regular grooming or bathing, and brushing will be just fine. The Frenchie is also alert and may sometimes hunt mice. Socialization is vital for this breed to live a normal dog life. Also, they are social and very affectionate, evident by them loving being with their owners like all the time. They can be possessive or territorial of their owners, mostly in the presence of other dogs. 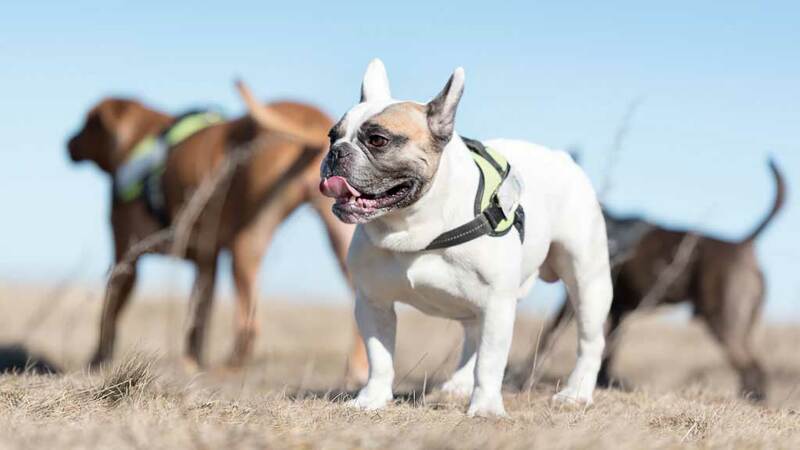 Daily walks with your French Bulldog will be good for them. Ensure that you use a leash that allows you to be in front of them to show them that you are the leader. 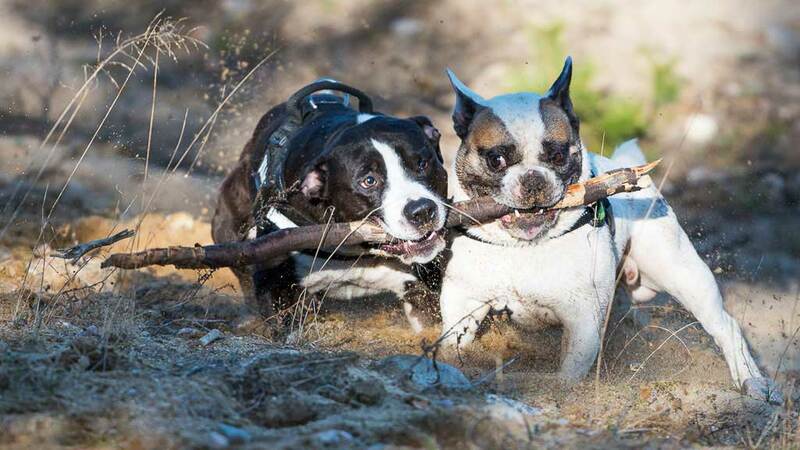 When it comes to playing time, note that some have higher energy levels than others, which means that you need to understand your dog’s energy level. If you are unsure about this, you can always consult a vet. • French Bulldogs cannot swim well due to their stocky build and massive head. Swimming pool owners should, therefore, ensure that they are not left unsupervised around such areas as they can drown. • Avoid taking them outside during very hot or humid weather conditions. Instead, keep them indoors in an air-conditioned environment. They are a greater risk of heatstroke as they are susceptible to heat exhaustion. 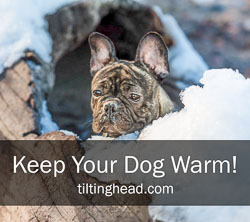 They are unable to pant like other breeds, which is necessary for lowering body heat. Make play time to be early mornings and cool evenings. • When anesthetizing the French Bulldog, make sure the vet uses modern anesthetics. Incorrect anesthesia puts them at risk as they have breathing problems. • Avoid overfeeding them. When they become overweight, it will result in a swollen abdomen and consequently difficulty in breathing. • Most French Bulldogs are stubborn which if not corrected may lead to destructive behavior like being snappish. Use treats to train them good manners as opposed to being meek and passive to them. • Not suitable for potential dog owners with limited budgets as vet’s bills may prove to be a challenge. French Bulldogs are a high maintenance breed. • They don’t require a lot of exercises as they have relatively low energy levels but a daily 30 minute will help keep them healthy. 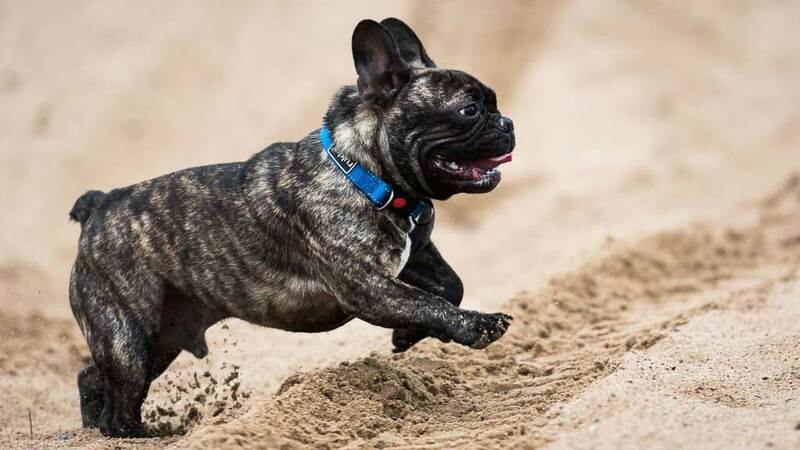 As mentioned, the French Bulldog needs to be trained by the owner to avoid unwanted behavior. They carry with them their peaceful attitude and love of play to training sessions. They need someone to look up to as their mentor. Ignoring them won’t do them any good. They are intelligent and training them is not so much of a hassle if you make the process fun. You need to be patient, consistent and calm when training them about appropriate human to canine communication and manners. Certainly, you should however not tolerate the unwanted behavior. You also need to be firm and strict in certain situations. Remember, they expect you to guide them. A stern but calm warning would be helpful as a method of correction. You don’t need to be extreme or violent when correcting them. Using treats like food and sweet talk is a good way to train them. Deny them these treats when they display unwanted behavior. • They have a compromised respiratory system which means as a dog owner you should avoid smoking around them and protect them from allergenic components like pollen. The medical term for this condition is Brachycephalic Syndrome. • Expectant French Bulldogs have to deliver puppies through the cesarean section as they have relatively large heads. • They are prone to heatstroke as mentioned above. • Joint diseases like hip dysplasia that causes immense pain to the dog. 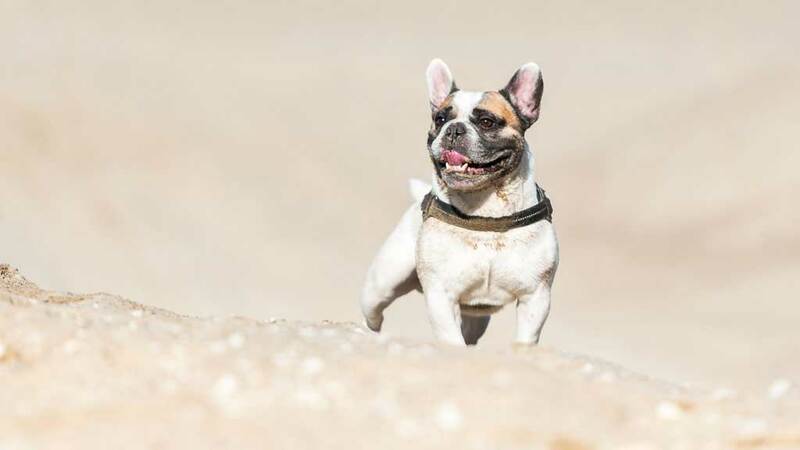 French Bulldogs are active and enthusiastic dogs that express their emotions without necessarily being loud and yappy. They have a gentle nature and love being around people, which make them unsuitable for dog owners who are not available for them. They thrive on human contact and should not be left alone for long periods.